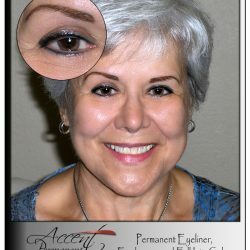 Permanent Eyeliner enhances the energy of your eyes. 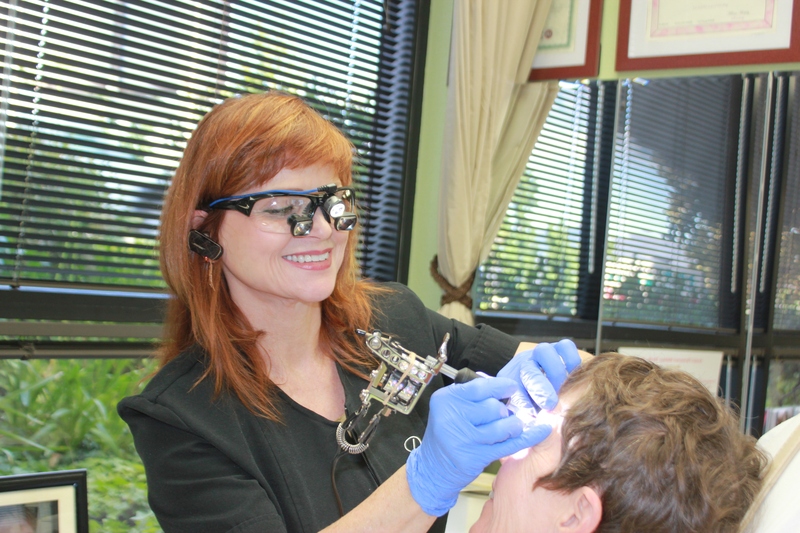 A high-contrast liner makes the whites of the eyes appear more bright and clear. Also, complimentary colors draw attention to the irises. 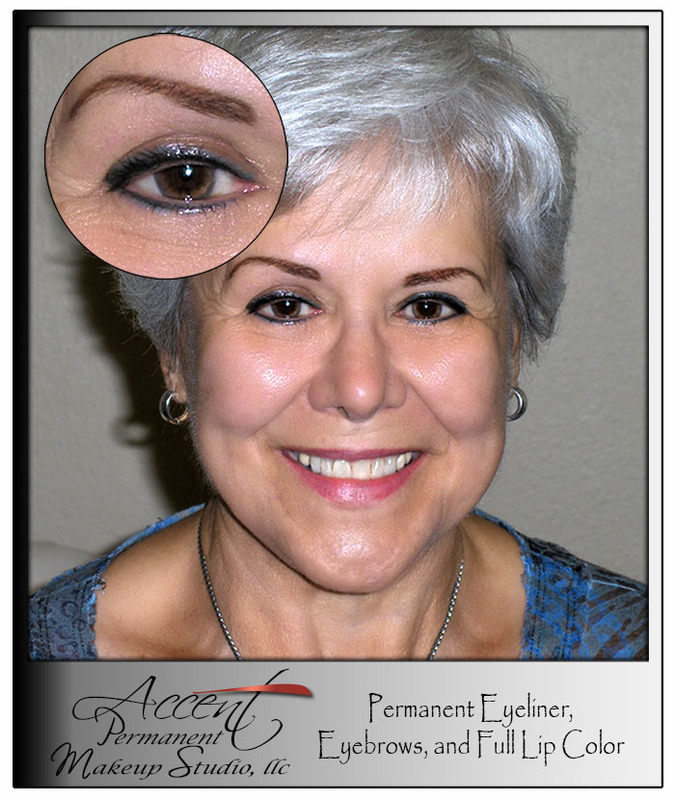 Eyeliner can be as simple as a lash enhancement or include mucosal color. The appearance can be solid, smudgy, or a combination, even a colored, blended shadow with liner. 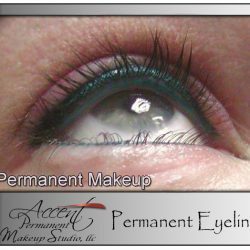 And, since Permanent Eyeliner is tattooed, it does not smudge or smear and is waterproof! 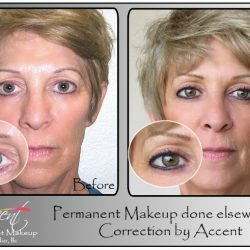 Accent can give you a look that is conservative or exotic. 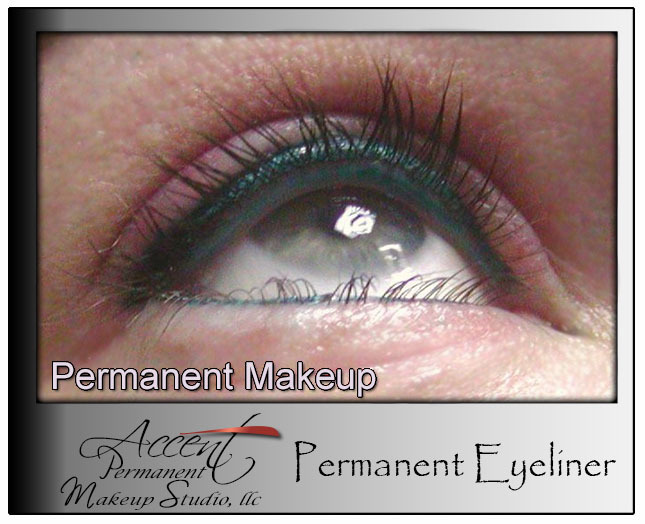 And, our eyeliner lasts forever, since we use a special long lasting pigment that doesn’t change color over time. 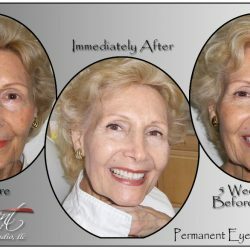 When women get older, we loose the youthful spark in our eyes. 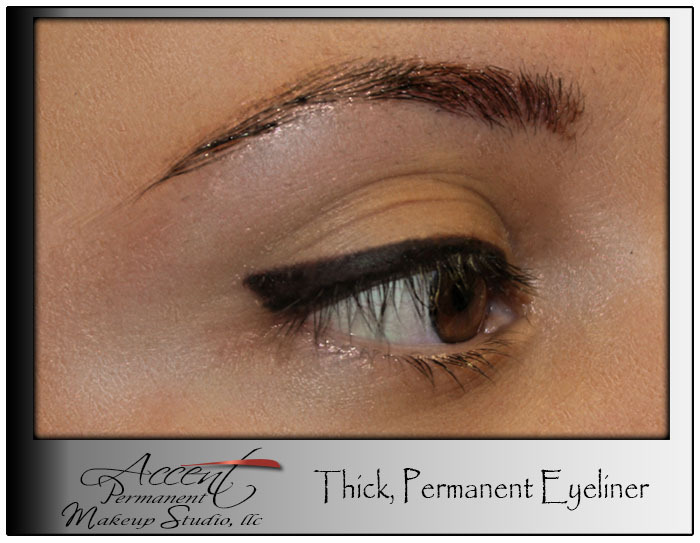 Eyeliner can bring the focus back and revitalize! 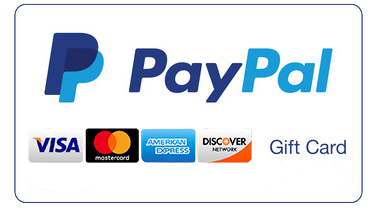 Sometimes you need an expert’s suggestions of how to create an exceptional, sophisticated you. Dawn has ideas she hasn’t even thought of yet…Call our office today for more ideas that can suite your style or preferences. 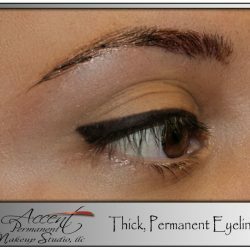 Click HERE for permanent eyeliner prices. 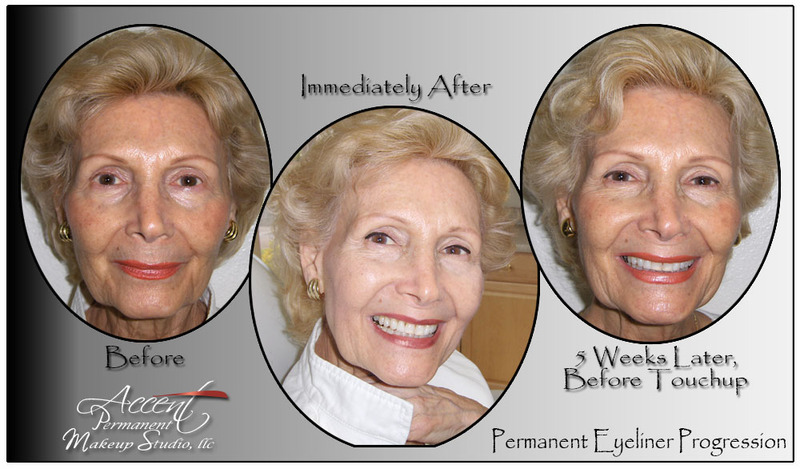 PROGRESSION OF PERMANENT EYELINER SHOWING THE SOFTENING THAT OCCURS DURING THE HEALING PROCESS. 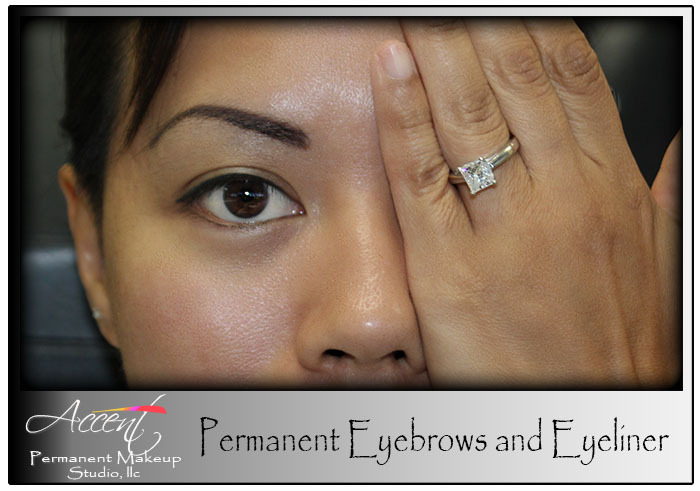 CLIENT HAD PERMANENT LASH ENHANCEMENT DONE ELSEWHERE. 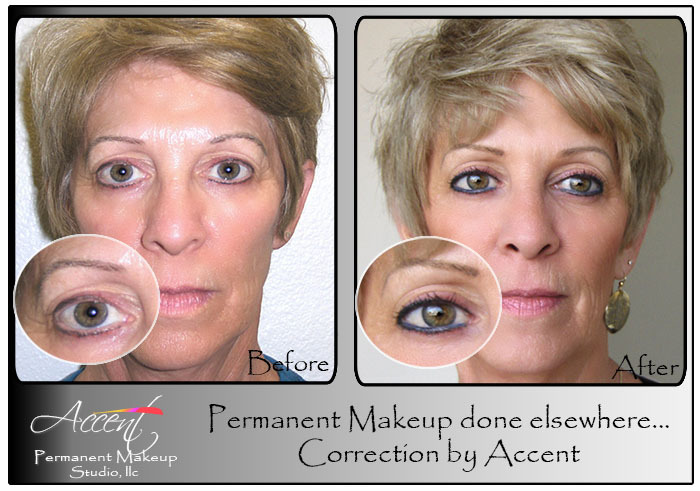 ACCENT ADDED BLUE MUCOSAL COLOR TO CORRECT THE DROOPY APPEARANCE. 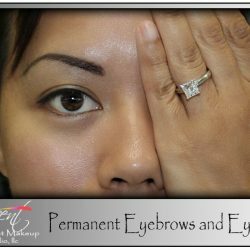 BROWS ALSO CORRECTED FOR SHAPE AND COLOR.